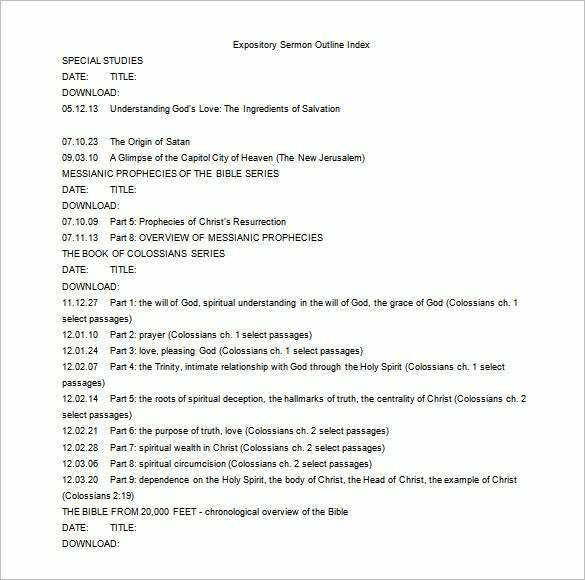 Sermon Outline Template – 9+ Free Sample, Example, Format Download! 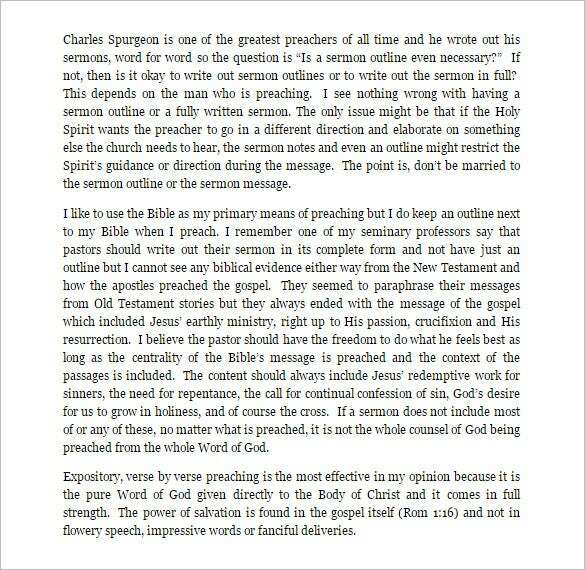 Have you been assigned to preach a sermon in the upcoming Sunday church session? 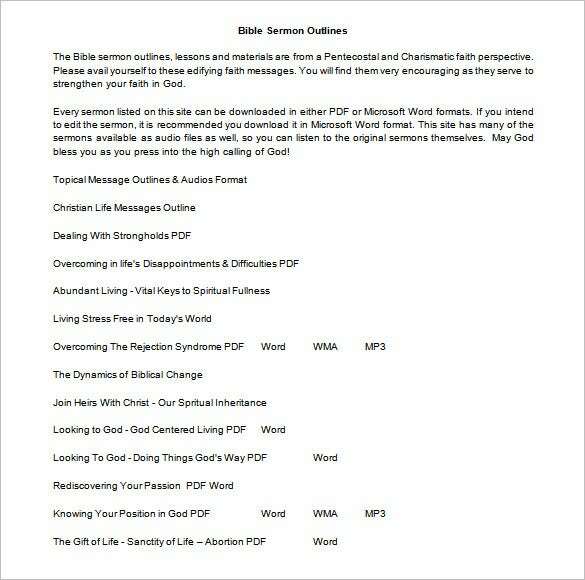 That’s great but you should make sure to prepare your sermon outline first with the help of a blank outline template. Some people do not follow an outline yet such an act might bring inconsistency in your passage and can even deviate it from the actual message. 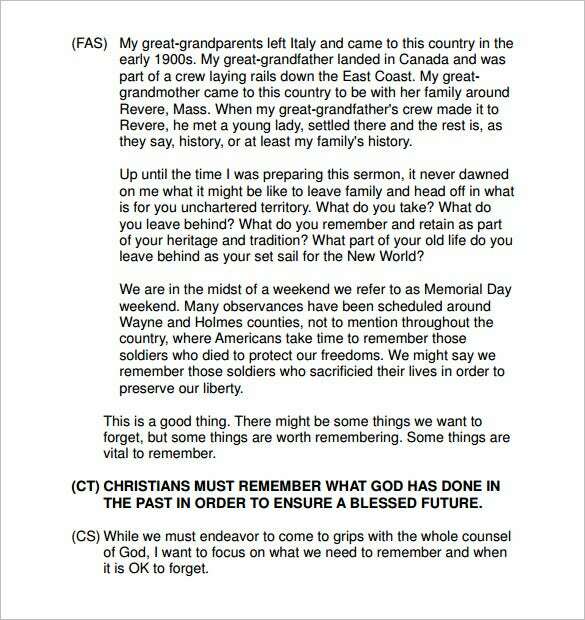 Before you go to church, it would be important to make sure that you have a sermon template with you. 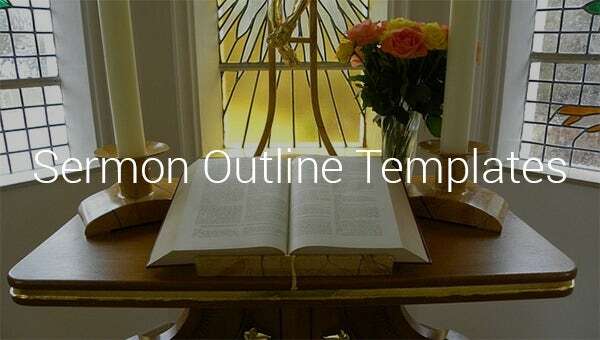 This piece can help you put down what the speaker is teaching in the church. The template is free. Preachers often hope that the next service will be interesting. 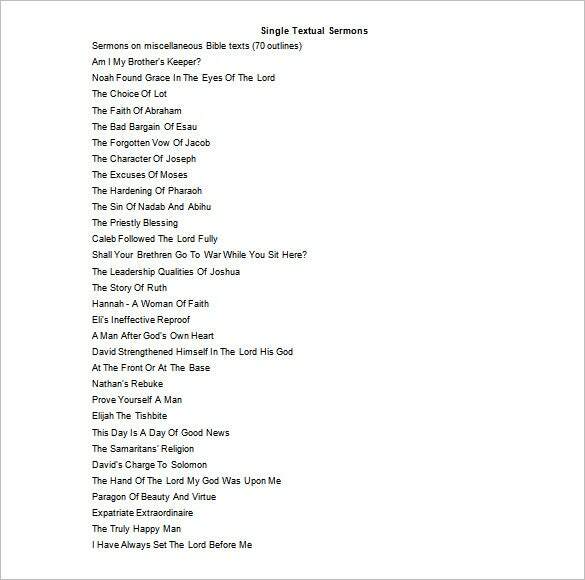 If you are one of them, you will need to have the best outline for the preaching. 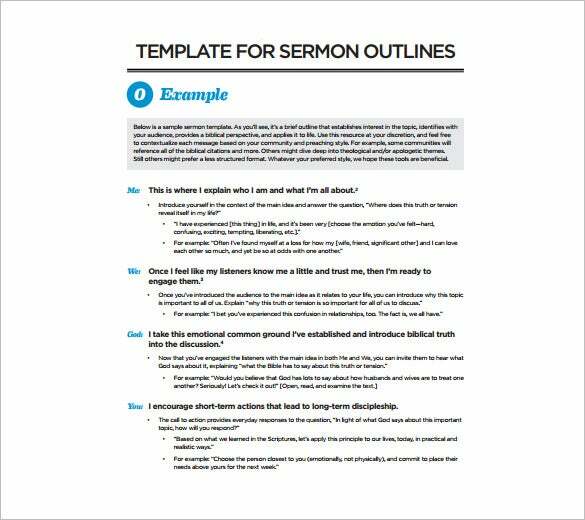 You can use this outline template to help you plan. 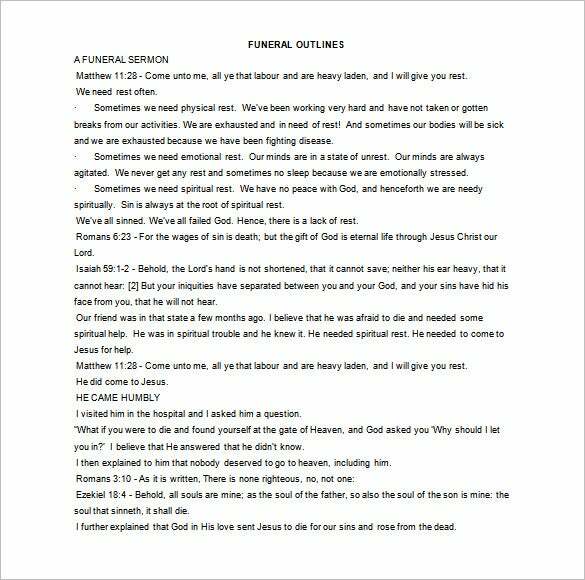 It is often good if you have a good plan for a sermon. You need to know what you are going to teach before teaching time. The best thing would be to have an outline. Use this template for help. 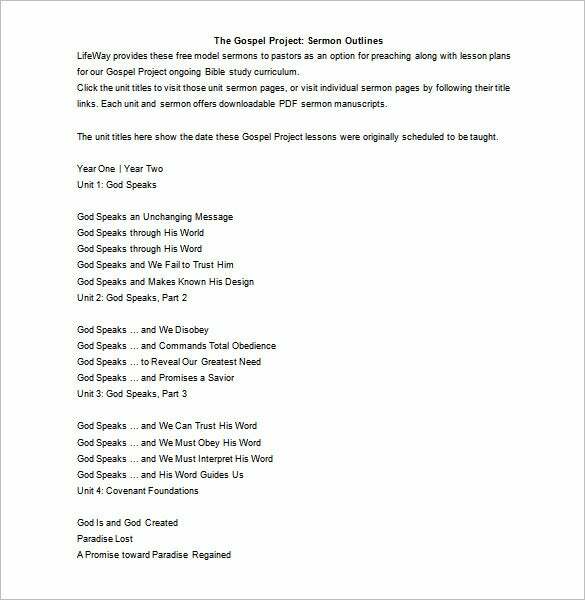 A sermon outline template format starts with relating the theme of your sermon with some present widespread problem, followed by notes on actual message. 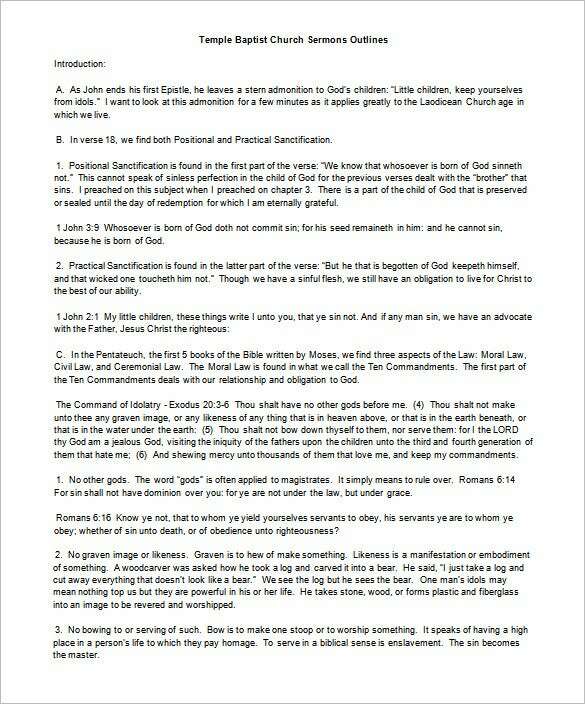 It would also include points on the values to be learnt from your sermon.